If you are looking to furnish a dining space with gorgeous, high-quality wicker and rattan furniture then look no further! 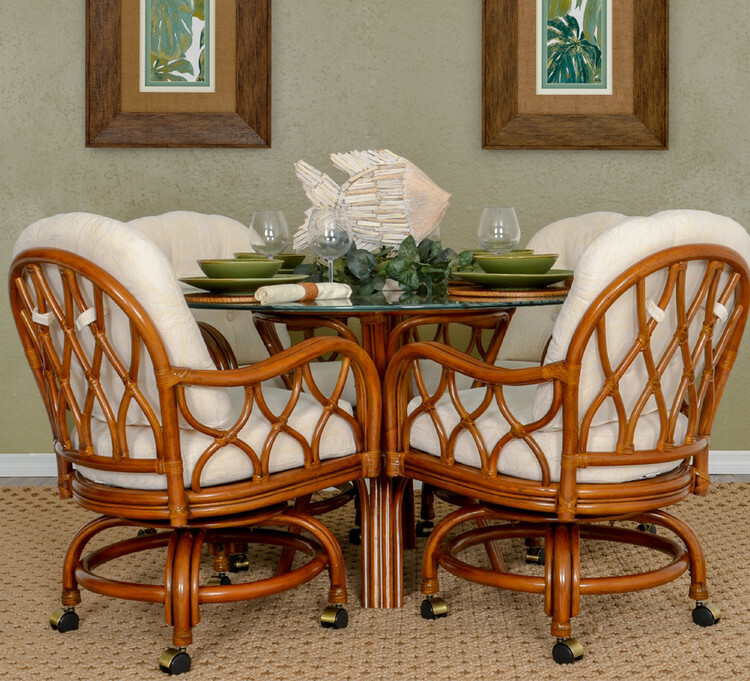 Enjoy the casual elegance created with the addition of natural, artesian woven wicker and rattan to your home. Our collection of dining room furniture includes dining chairs, swivel tilt chairs, caster chairs, as well as various tables, bases and table top options. Beauty, comfort, durability, plus you can MAKE IT YOUR OWN by selecting the finish and fabrics that best suit any given decor.